Which racket does he use under the newest Pure Aero paintjob? Is it APD GT 2013? Probably his racket mold and drilling pattern might change but it might be close to his original APD. I am sure it’s not 2013 APD because his racket never had cortex. Cortex was painted. It’s the OG AeroPro Drive aka the best one out of all Gens in my opinion. Does he use an extended or standard length racquet? Itb is my opinion also and it is a true. Does it play very differently from APD GT? It plays different from everything with cortex. Yes. it has more of solid feel/ stiffer feel, even though I don't think it is any stiffer than GT. Rafa's racket also feels more head heavy. More solid from baseline than GT. but GT is much easier to volley with. Anything with cortex seems to bend where cortex installed when you hit compare to Original. Just my opinion. Yes, less stiff IMO. I happened to have the OG APD in a 66RA by luck. To me it feels more solid than the APD GT. I assuming you are talking about the 10-12 version? Yes, less stiff IMO. I happened to have the OG APD in a 66RA by luck.To me it feels more solid than the APD GT. I assuming you are talking about the 10-12 version? I’ve only played with the OG APD, APD GT ‘13 and now PA. Only tested out the APD GT ‘10-‘12 version. Never tried the Cortex one from ‘07-‘09. 2013 APD GT goes without cortex? 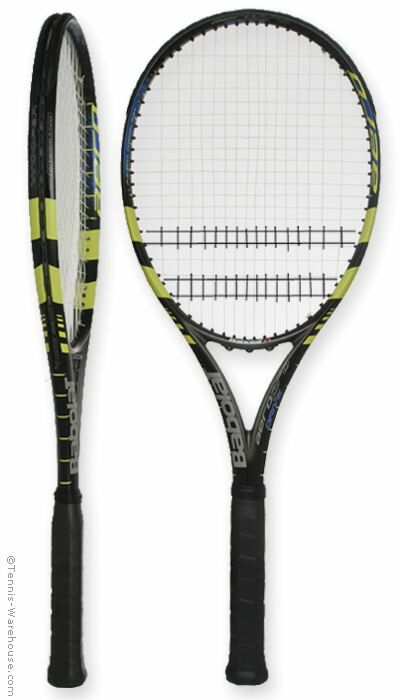 The ‘13 APD GT does have Active Cortex, but it’s outside the racquet and on the throat. Most of it are useless. Just marketing. We've been using different frames, then... APD gt 2010 is solid as a rock, no bending anywhere but the ball from beeing crushed. I went the APDO is the better because it is the one rafa uses, but at the end, it was just too slugish compared to the other itinerations... There was another member that mentioned that the APDO felt just like it had a baseball doughnut at the throat, and I have to agree. But the APDGT 2010 is the bomb. Sold my pair of PA and I'm gathering all the APD 2010 I'm finding. Is there big difference between APD 2010 and APD 2013? Actually i don't follow APD w/cortex since i tried the first one and it was bending like crazy compare to Original. Huge. Apd 2010 feels heavier to swing than any players racket I've used (and I spent some time with PT57A at 350 strung). there is just so much mass around the hoop. It really doesn't feel like a 300g unstrung. It crushes the ball and there is no lack of stability and plowtrough by any means. The apd 2013 on the other hand is the epitome of what a real tweener should be. lower SW, faster head, less stability but easier to handle. If you are into mods or just wants an easy frame to use, the 2013 is the way to go. If not, the 2010 already comes in a perfect players package. I slaped a leather grip on my stock one and it became almost too demanding, I had to go back to cushion. But damn that thing pounds the ball. I had less than a couple hits with the first generation one with cortex, so I cant really say. But the 2010 is solid as steel. it has the highest RA in 71. And with a SW around 330, It pounds. I have APD 2013 I bought it in February 2012 (I think) and been playing since then with it. I love it, but haven't really tried many other rackets. Actually i don't care about the fact that Original is really Rafa's racquet. I tried it and i played good with it, though i don't hit with those extremely topspins Rafa does. thats exactly the point. The APDO was, for me, the hardest one to whip the ball, but really good to drive trough a flatter trajectory. maybe thats why you like it so much. Different strokes for different folks I guess. But Rafa uses it almost all his career, but his topspin technique are ridiculous in it's extreme. With it he could spin even with wood board. The old aero I know . A stringer to the stars out In LA .. once told me once it was basically the 26 inch junior version for more room to mod for weight and flex , and handle lengthened to 27 inches .. interesting .. but who knows if that’s true . It would be a real tennis controversial topic if true .. It has a lower twist weight, which means it will have much more access to spin and a bit extra spin potential. A lot of people are obsessive about the cortex thing. And that just changes feel more than anything. The extra stiffness isn't going to add as much power as people make it out to be, but it will change feel. Going from 64 to 69 ra won't add nearly as much power as people act. Going from wood to 69 RA will add a ton of power. So you could realistically get basically the same performance out of the APDC as that one also was a very low twist weight model. His swing weight should be in the low 360's as before he was in the mid-high 350's for swing weight, and as Moya and others in his camp have said, they added weight to the tip of his frame. Babolat had on their page that he added an additional 2g to the tip. All the numbers from 2017 (like USO average ground stroke and serve speed all being about 3mph higher than the year before) support this. I'll be doing an in depth video in about a month about the rafa frame/recreating it too. Could it have been the other way around; with the 'original' 26" version actually a cut down 27"? Could it have been the other way around; with the 'original' 26" version actually a standard adult hairpin cut down to 26" instead of 27"? FWIW, I have an APDO and all the others. the Original is a beast and hits a very heavy ball but is also much harsher when you hit out of the sweet spot. Mine as a SW of 332. I get why Babolat added a dampning system. Do you have also new Pure Aero? Is it similar to APDO? The PA is not similar to the APDO. It slightly sleaker and has new grommets at 12 & 6, which makes the string bed in the middle slightly more opened. The only thing I like about the PA is the Tour version, other than that I prefer the APDO. The pure aero is nothing like any of the APDs. Nah he said it was straight up a junior model .. The old gray one .. which I thought was a 26.5 length stick.. but regardless he said it was a junior . Interesting conversation.. I have tried the Apd original and as a previous Gt 2010 model user and now a Pure Aero user, I was quite impressed. I think it's even more spin friendly than the Pure Aero and, if that makes any sense, when I frame the ball with my Pure Aero it doesn't end well, I miss by quite a lot, but on the original it becomes a framed topspin ball which is hard to retrieve. So you don't need strings to play with the original? The frame is so damn good that even the framed balls are loaded with topspin. That might save me some money and I'll still look hipster enought wielding the Original. Jokes aside, I really think that the Pure Aero is different frame and for bad and for good. Does It really amps the spin range from the previous versions? yes, by quite a lot. Does It eat strings for breakfast? yep, I was breaking twice as fast as my APD2010. Does it loose tension quickly? Yes, 1.25 poly and the 3rd match was a gamble (for me). I ended up Selling my PA and gathering 3 barely used APDGT 2010, mostly due to the fact that I would need to spend three times the money I spend on 3 APD 2010 to Get another PA. I Exchanged a pretty beaten (8.0) Pure Aero for 2 APDGT 2010 in almost mint conditions (9.9), and one came with a brand new Fairway leather in it. the other one I paid like a quarter of what a brand new PA costs. I don't have to go to the stringer once (sometimes twice) a week anymore, and I feel that my stringbed plays more consistent through 3 or 4 matches. And I still get all the stability and mass that the PA has brought back from the APD 2013 lack of it. I am confused. Is the apd from 2010 the yellow and white colored version? Which strings do you use? They are all sort of yellow and white! hahahah the APD GT 2010 is third generation, one after the first one with cortex that is painted like a bee. Have you tried Isospeed pyramid? I have all of them. The APDO has more weight in the throat making it feel more like a hammer. The APDO gets it's power from the swing weight and in my case the overall weight. It's 11.7 ounces string up. The PA gets it's power from the string bed. It's much easier to wield the PA and I can get much more spin from it BUT the PA requires me to hit everything with spin, flat shots are hard to control. It has significantly less touch and feel than the APDO. Because of it's weight and swing weight, the APDO is much harder to get spin from and wield in general. If you can do it, it hits a much heavier ball.